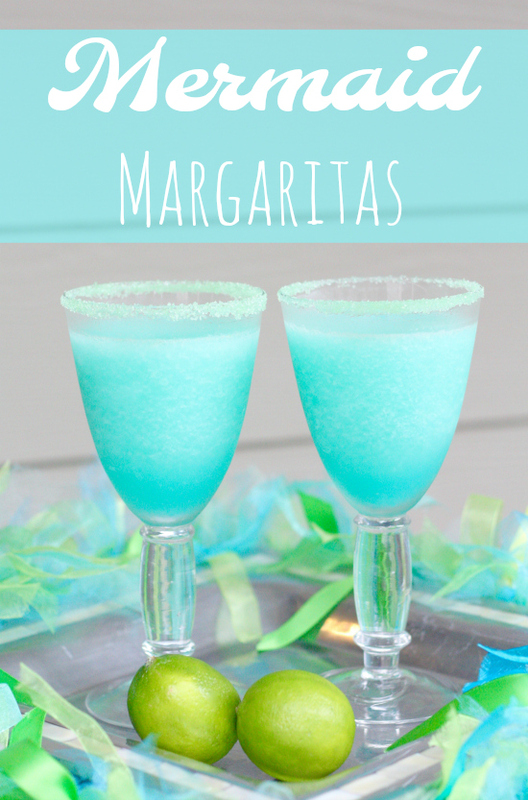 Margaritas are some of our favorite summer cocktails and this ocean blue mermaid margarita is our new favorite. Sipping on the sweet, blue drink makes us feel like we're oceanside at the first sip. We're sharing the full recipe and details over on Savvy Sassy Moms today. 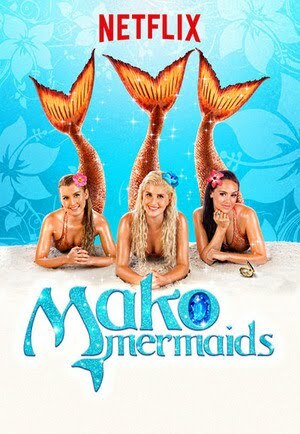 Click HERE to read all about the Mermaid Margarita. My girls love all things mermaid so when they saw me in the kitchen mixing up something pretty and blue they asked me what it was. When I told them the name they were sure they would be able to get a taste and really had hoped this was a drink they could enjoy. Ha! I'll have to come up with a kid mock-tail version for them, but thought I'd share some of their very favorite mermaid things though! They got these mermaid blankets for Christmas and just love them! They will use them to get cozy when reading a book or watching a movie. My little Boo-Boo feels left out sometimes with all this girly stuff so he's getting a Shark Tail blanket for his birthday in a few weeks! The girls also have some mermaid tails they can actually swim with in the pool. I can't believe I can't find a picture of them to share with y'all. 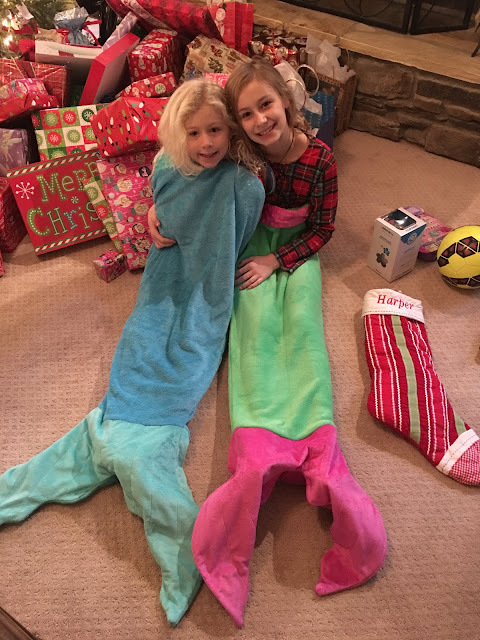 They have foot straps on a mono fin and that slips into the actual mermaid tail. It's made of a leotard/swimsuit type material and just slips right over their swim suits. They always get asked by the other kids where to buy them and everyone wants a turn to try it out. 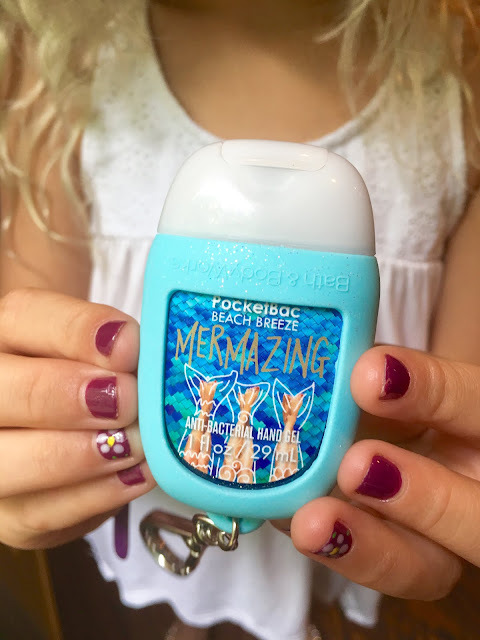 Just last week we were in Bath and Body Works stocking up on some soaps and Blondie saw this cute Mermaid sanitizer holder and Mermazing sanitizer to match. 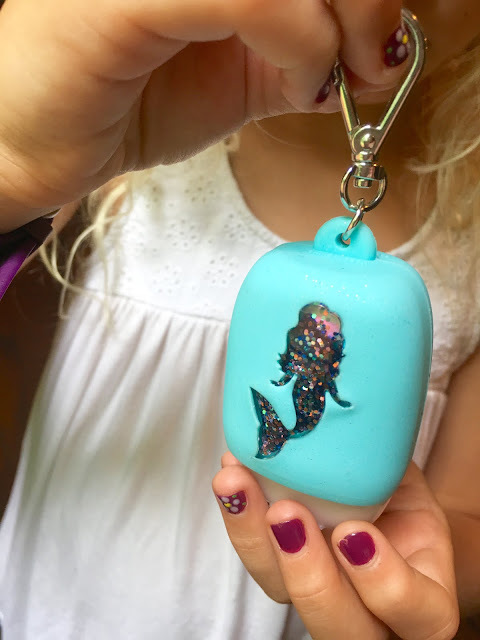 So fun for summer and so cute for girls of all ages. And my same sweet little Blondie is begging me to get Netflix because she wants to watch Mako Mermaids. I think she saw it at a friend's house and asks me about it almost daily. Here's the thing...we had Netflix and ended up canceling our subscription because the Mr. and I never used it, but I didn't really ever think to use it for the kids. So now I'm kind of thinking maybe I want to look into another subscription. Tell me, does your family have Netflix and do you use it a lot? Can kids watch from their devices or on iPads? Someone help me out because I'm clueless when it comes to this kind of stuff!